Cryptocurrency and Blockchain have become the latest buzzwords of this decade. To stay ahead of the curve, startups and enterprises all across the globe are tailoring their solutions to integrate this technology into their existing systems. Institutional money is flowing into the ecosystem, even though many such projects have not delivered up to their expectations. There are numerous instances where projects have raised millions, and probably, billions in funding without even having a functional product. One such instance is of Block.one, the company behind the blockchain platform EOS, which has raised $4 billion through an Initial Coin Offering (ICO) and that too without even having a live product. With just two quarters into 2018, the total funding of $18 billion USD raised by the blockchain and crypto projects has far overshadowed the $6 billion USD raised in the entire of 2017. Fr8’s blockchain network is betting on the $13 trillion logistics industry by digitization of record-keeping related to the trade of assets. With the advent of globalization, the supply chain industry has become scattered and disconnected. Last year in the US alone, trucks drove close to 29 billion empty miles. However, with a team of award-winning developers, blockchain experts and Fortune 500 shippers on board, Fr8’s blockchain network helps to streamline and organize this industry in a trustworthy manner. Internet of Services (IOST) is a new crypto token which is addressing the primary roadblock – the scalability issues – preventing cryptocurrencies from going mainstream. A technological descendant of Ethereum, IOST wants to be the underlying architecture for the future of online services. Contrary to the popular consensus algorithms such as the proof-of-work (PoW) or proof-of-stake (PoS) used to validate transactions on the blockchain ledger for most of the cryptocurrencies, IOST uses its powerful “Proof-of-Believability” algorithm. This ensures that transactions are safeguarded, consistent and lightning fast while reducing storage, configuration costs and processing power for validators. ImpactPPA is a decentralized utility company which is creating a SmartPPA, i.e., smart power purchase agreement, to connect the blockchain community with the environmentally concerned and socially impactful projects that fuel the development of sustainable solutions. The company is delivering access to clean renewable energy from a mobile device in a wake to solve some of the world’s most pressing and humanitarian issues. With shipping and logistics market estimated to reach a whopping $15.5 trillion by the year 2023, ShipChain is another blockchain startup which is creating the next evolution of logistics. 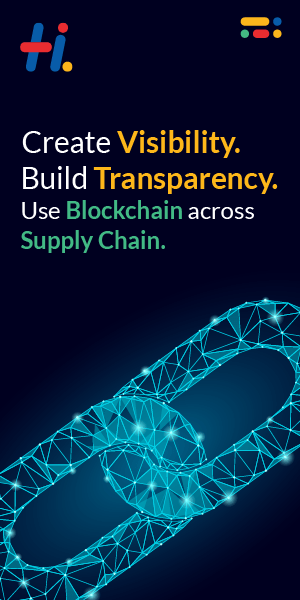 ShipChain platform allows for unified tracking across the entire supply chain, from the moment a shipment leaves the factory, to the final delivery on the customer’s doorstep; all this in trustless, transparent blockchain contracts. The company is also a member of the Enterprise Ethereum Alliance (EEA) alongside Microsoft, and the Blockchain in Transport Alliance (BiTA), alongside UPS and DHL. Nano Vision is dramatically accelerating the development of cures for global health threats. The company claims that 90% of the clinical tests, which can cost anywhere between $800 million and $1.4 billion, end in failure. Through Nano Vision’s decentralized solution, anyone from scientists to doctors to simply engaged civilians will have access to the data that has been collected and the research that has been recorded on the company’s blockchain platform. With a global spend of $7 trillion on health care annually, this initiative will power new steps in the research process, thereby, sparking faster innovation. Inveniam is the premier entity providing the tools, processes, and data necessary to facilitate the listing of private company debt issues on public markets and exchanges. The platform is designed to facilitate the migration of complex financial transactions from a fundamentally bespoke, manual process into a highly reliable and automated method for executing the steps of a transaction in an approachable online environment. BuzzShow is a reward based social video network that rewards the user with its native token, the BuzzShow Goldies Tokens, for creating, curating, sharing & viewing videos. BuzzShow’s decentralized platform provides users with full control and privacy on their video social media space. The platform has over 15,000 users currently. Patron is a global influencer marketing platform, which claims itself as a one-stop shop for social media influencer focused brands and influencers themselves. Influencers and social media users from around the world can publish, discover, reserve, or sell influencer data on PATRON’s trustful platform on both web and mobile. Started by Atsushi Hisatsumi, a Japanese influencer, and entrepreneur, the company has raised over $40 million to date. Photochain is a blockchain based business model that enables any contributor to have full control over licensing and trading of their digital images – photographers can retain up to 95% of their potential earnings. Photochain taps into new markets by redefining who the content creators are and empowers them to monetize their work in a fair and efficient way. The company has successfully completed the private pre-sale of its PHOTON token. ODEM is an On-Demand Education Marketplace built on the Ethereum blockchain. The platform uses artificial intelligence to manage requests and organize complete educational programs around the world. The platform reduces costs and improves access to premium education by directly connecting educators with students and eliminating inefficient and costly intermediaries. Students and other education buyers can easily research and find the perfect curriculum from educators around the world. MEvU is a peer-to-peer (P2P) betting platform, secured by the blockchain technology. The company uses smart contracts on the Ethereum blockchain to immutably and transparently store players’ funds and information, providing players with confidence that their bets will be executed securely and quickly. By cutting the intermediary costs of traditional sportsbooks, and other third parties, MEvU helps players enjoys a historically low transaction fee of 2%. Boon Tech is the world’s first decentralized job marketplace which is powered by artificial intelligence. The company claims that it’s a place where entrepreneurs and freelancers meet to facilitate freelance transactions with cryptocurrency rewards. An IBM business partner, the company uses IBM’s Watson AI algorithms to rank and review systems available on its platform.